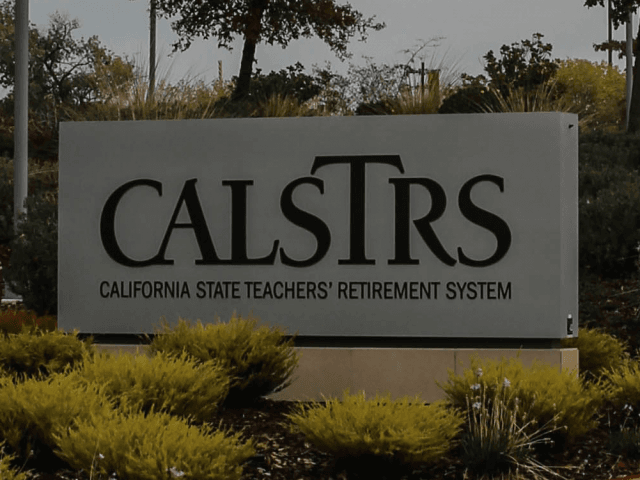 The California Teachers’ Retirement Trust (CalSTRS) board directed its staff and consultants last week to evaluate the risks of investing in thermal coal companies. The move came after Senate President Pro Tempore Kevin De Leon (D-Los Angeles) introduced legislation that would require CalSTRS and CalPERS to divest thermal coal stocks and bonds. However, based on losses from prior divestments, CalSTRS must conduct feasibility studies on the risks of divesting all fossil fuels, including natural gas and oil. Thermal or steam coal is widely used in electrical power generation in the United States, but California power plants mainly use natural gas. California only imported 8 percent of its electricity in 2012 from coal and petroleum coke plants in other states. Staff reported that CalSTRS’ only applicable issues are about $40 million invested in a dozen thermal coal companies through index funds holdings. He reminded the Board that a 1987 state law requiring divestment of firms doing business with South Africa under apartheid cost CalSTRS $600 to $750 million as holdings were sold and replaced–and investment opportunities lost. A Pension Consulting Alliance report also estimated that a voluntary switch to a tobacco-free investment portfolio in 2000, after tobacco divestment failed in the Legislature, cost CalSTRS $1 billion in lost investment opportunities. CalSTRS and CalPERS adopted policies in 2009 that prefer “engagement” by using their status as shareholders to urge companies to make changes, rather than divestment that leaves the pension funds without a voice in company management. The early move by the CalSTRS would make it a public pension fund leader in developing a thermal coal divestment policy, but the process must begin with meetings with thermal coal companies and experts in several fields. In considering divestment, CalSTRS’ Board must review “21 risk factors” to determine if the economic risk of a long-term investment in the coal industry is a positive or negative for its beneficiaries. Pension board members are insured for investment decision losses. Giving added protection, the bill declares that the CalSTRS and CalPERS are working with several international groups on the climate risk issue. Some argue that if runaway climate disruption is to be avoided, most of the proven fossil fuel reserves must be left in the ground not burned. The World Coal Association responded in November that divestment simply changes ownership of assets and does nothing to affect the use of fossil fuels. The association produced a fact sheet regarding new technologies and carbon capture reducing CO2 emissions and argued that divestment encourages “energy poverty” in developing nations. WCA also said forecasts show coal demand continuing to grow and urged that the public pension funds should use their holdings to encourage minimizing environmental impacts. Thermal coal is just one of the proposed public-pension plan divestments that are being demanded by interest groups this year. AB 1410, introduced by Assemblymembers Nazarian, Achadjian, and Wilk on February 27, would require state pension funds to divest from Turkish bonds because of Turkey’s failure to acknowledge its World War I-era genocide of Armenians.